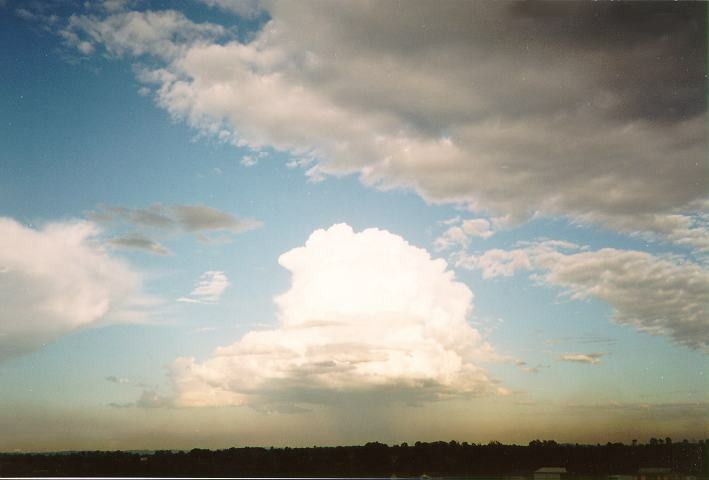 Precipitation can occur from some cumulus and can vary from light to heavy. As the height and base area of cumulus decreases, the intensity (and duration) of precipitation decreases if it develops. Precipitation develops due to the fact that the rising (convective) air currents cannot support the excess moisture. The heavier precipitation are associated with darker precipitation cascades and darker bases. The higher cumulus will also contain larger sized droplets. The smaller cumulus normally produce light precipitation in a region with high humidity such as over oceans. In order to determine which direction the cumulus with precipitation is moving, the observer must follow the direction of movement of the cumulus or make predictions as to the region that may be developing. Having studied an area for many years, often the development and movement of cumulus can be predicted. The observer must take into account that clouds below the cumulus cloud may be moving in various directions and that they are not necessarily producing the precipitation. This often confuses even some experienced amateur meteorologists. If you are not sure, you can back up your skills by watching the radar images that are shown on weather reports. The duration of the precipitation varies and depends on the following factors: the size of the base area, the speed of the cloud, and the rate of further development of the cloud at the rear, if any. Such development is true for all cloud types that produce precipitation. Horizontal development towards the rear decreases the relative motion of the cloud and associated precipitation. This therefore increases the duration of precipitation. In other words, if the cumulus cloud is large, slow moving and still expanding from development, then long duration, heavy precipitation is most likely. In fact, cumulus that rapidly develops and produces heavy rainfall often may develop into a thunderstorm. Hail can also develop as a result of rapid cumulus vertical development. In cases of heavy precipitation, the cascade may appear to spread out at the base due to the downdraught flow. 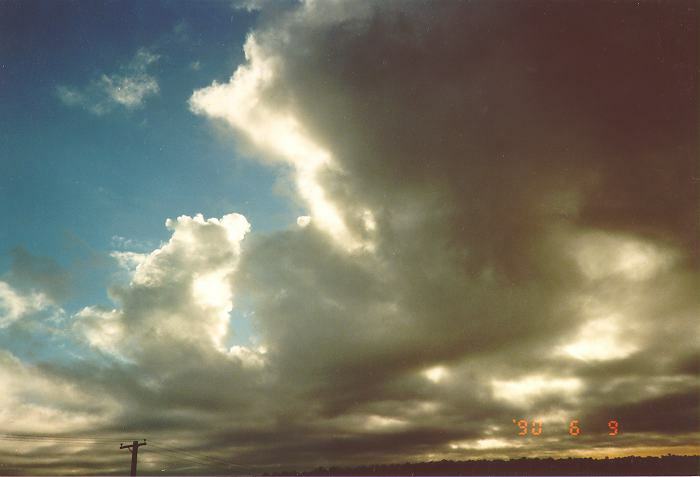 Stratocumulus can produce precipitation with intensity varying from light to heavy showers. 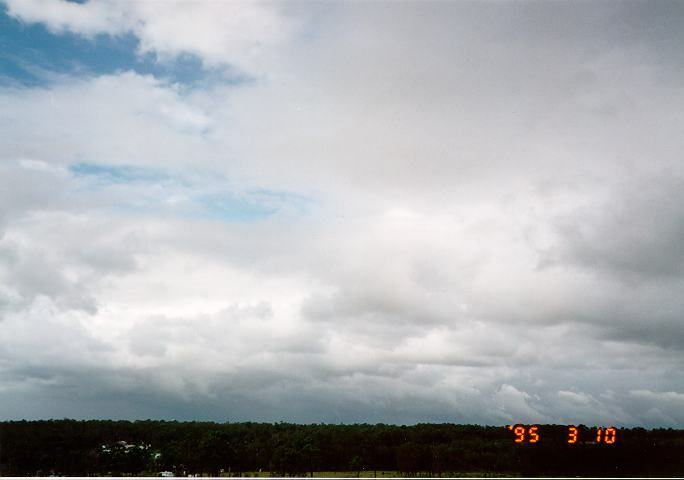 Stratocumulus is the main type of cloud to produce drizzle. 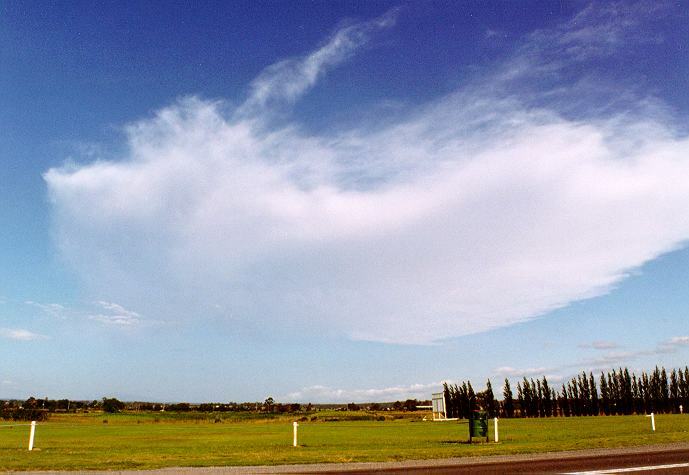 In its patchy form, stratocumulus produces intermittent showers. The larger the cloud tops, the greater the potential for heavy showers. 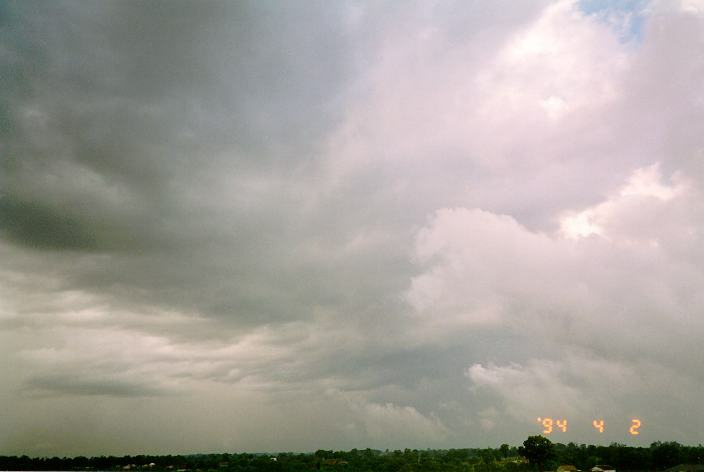 Since stratocumulus is normally faster moving than cumulus, showers are shorter in duration. In fact, like cumulus the duration depends on the amount of development, the size of the base area and the height of the clouds. 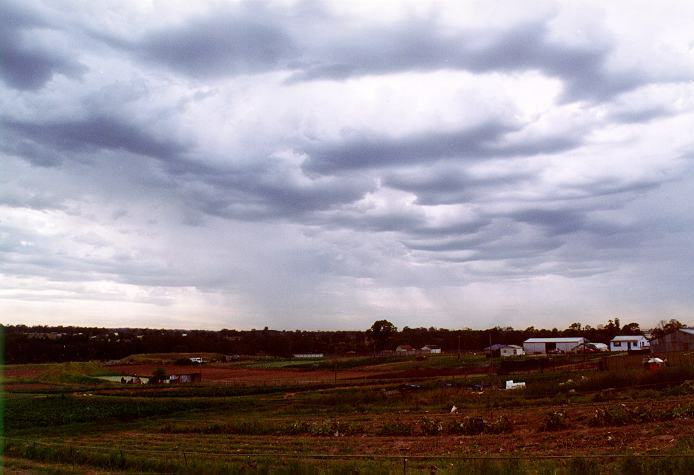 Stratocumulus in sheets tend to produce more of the longer duration precipitation. Although stratocumulus can produce precipitation, it is not necessarily responsible for the precipitation on a day with precipitation. Think of the situation where stratocumulus develops with more than one type of cloud such as cumulus or nimbostratus. The stratocumulus may be below the rain bearing cloud and not producing precipitation. In this case the stratocumulus will thicken and become darker in the precipitation cascade region. 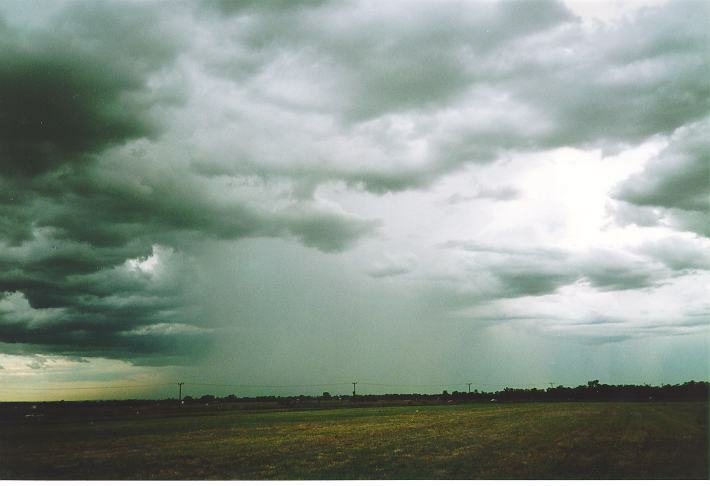 The observer must determine which is the rain bearing cloud in order to make predictions such as the direction of movement. 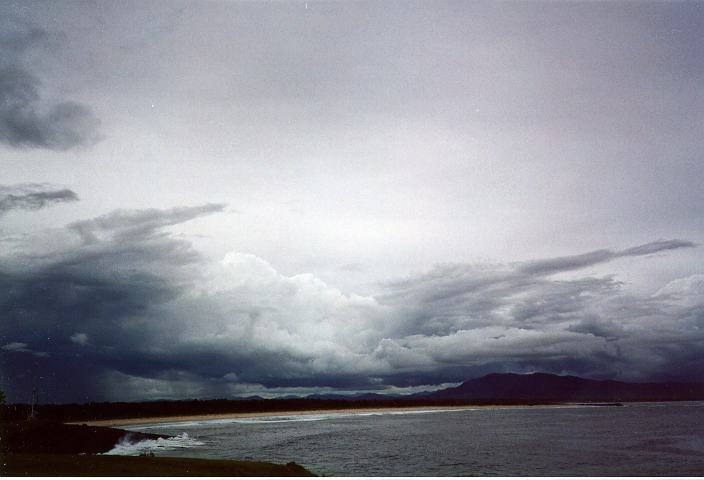 The direction of movement of the rain bearing cloud is often different to that of the stratocumulus. This is often the case with thunderstorms. 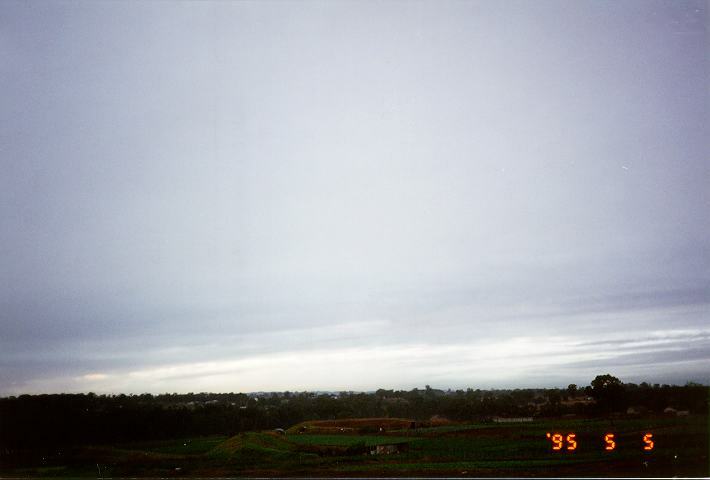 Stratus, being so thin, only produces drizzle or light showers. As in the case of stratocumulus, stratus often lies below the precipitation bearing cloud and becomes darker and thicker within the region of the precipitation cascade. As discussed in the section on clouds, altocumulus occurs in various forms. Therefore there are various situations where precipitation exists. Precipitation from altocumulus varies from light to moderate. Heavy precipitation from altocumulus normally relates to the existence of larger cumulus or cumulonimbus clouds above the altocumulus. In normal circumstances, precipitation is light to moderate rain rather than showers. Because altocumulus is higher than lower level clouds, there are more ice crystals and hence, larger droplets. The thicker the vertical structure of the altocumulus, the more precipitation that can be produced. 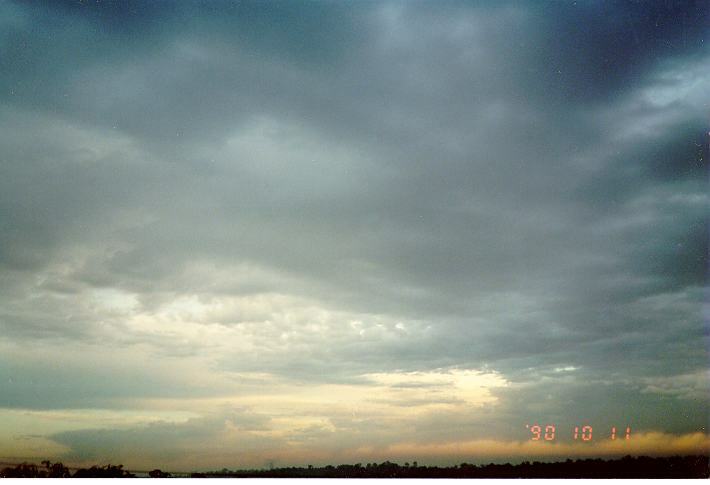 Because altocumulus has a patchy appearance and structure, rainfall from altocumulus is often intermittent and variable. If precipitation from altocumulus is associated with rapid development such as during unstable conditions, it will also develop rapidly. Often under these circumstances, larger cumulus develop with heavier precipitation. If altocumulus development occur at the rear, precipitation associated with this development will persist for a lot longer but again intermittent. The precipitation cascades are usually well defined since light can pass through the breaks. However, the more widespread and thicker the altocumulus cover, the lower the contrast of the precipitation cascade and hence the harder it is to see. 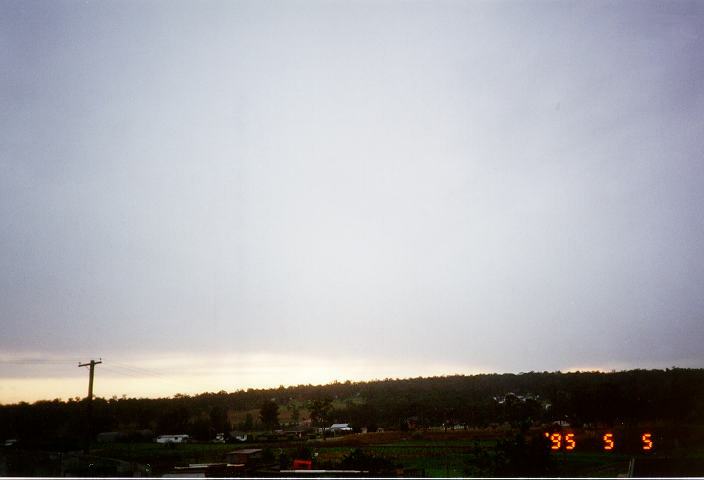 Altostratus produces light to moderate precipitation, usually rain. Like altocumulus, it consists of ice crystals which results in larger droplets. Precipitation can vary from intermittent, patchy rain to persistent rain or showers. 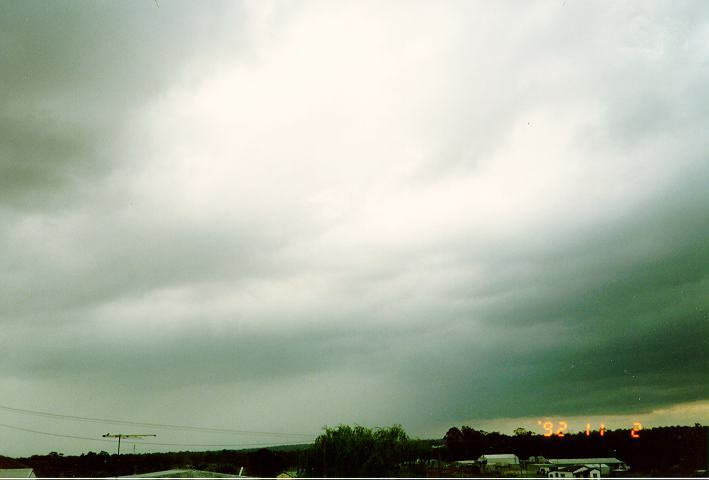 However, we normally associate persistent rainfall with nimbostratus. Altostratus will increase and thicken before precipitation develops. It then becomes known as nimbostratus. 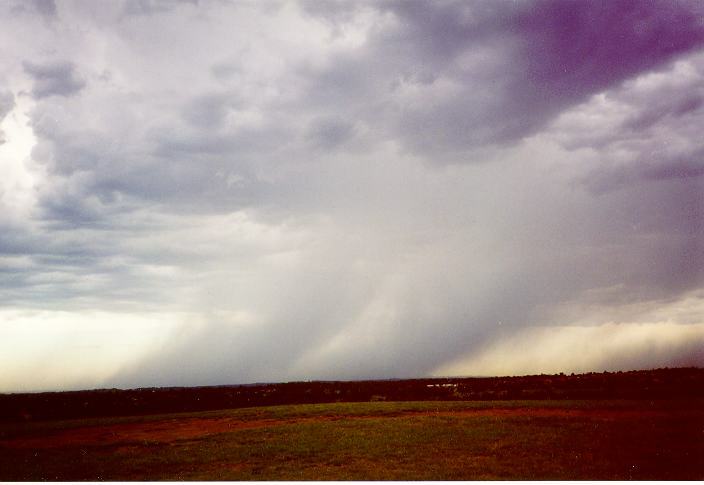 Precipitation from nimbostratus is usually of long duration ranging from a few hours to a few days. In the latter case, a large cloud mass is normally responsible. The more sunlight that can pass through the altostratus or nimbostratus cloud, the lower the contrast of the precipitation cascade. Such days are usually dull with the precipitation cascades poorly defined. Like altocumulus, precipitation can and does develop continuously from nimbostratus. However, development from the rear is not as pronounced since altostratus already exists and just thickens to form an overcast nimbostratus cover. Cirrus, cirrostratus and cirrocumulus do not produce any rain. 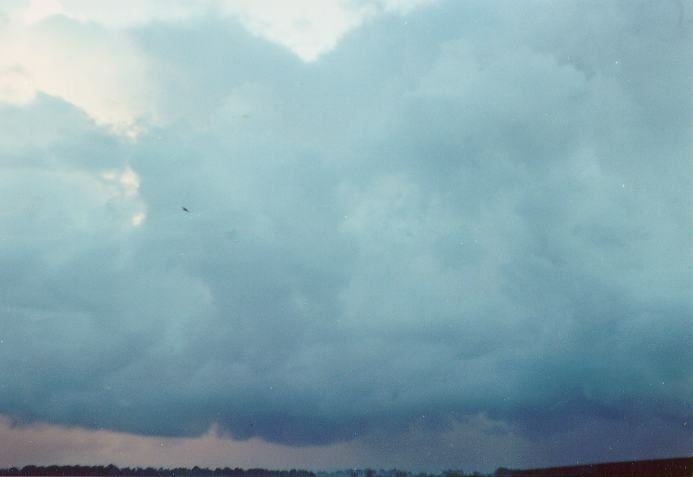 However, on days with thunderstorm activity, dissipating thunderstorms continue to produce precipitation even when the top (or thick cirrus) section of the thunderstorm remains. Precipitation here usually consists of medium to large drops and gradually decreases. 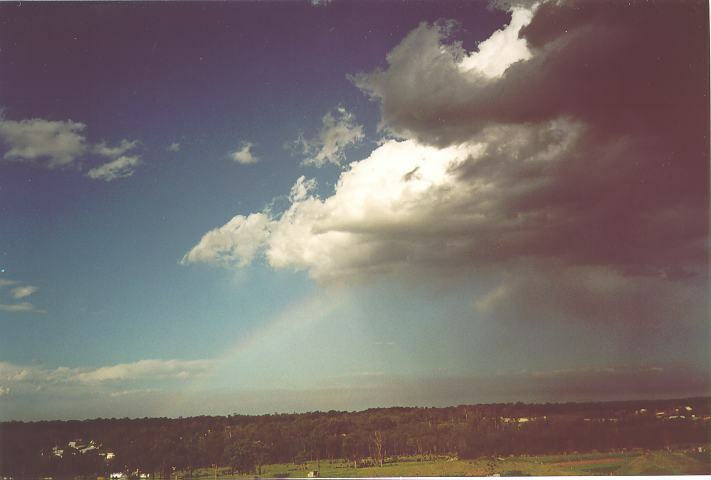 The rain area may occur from the rear of the cloud and hence rainbows are common with a lowering of the sun towards the horizon.